Is quartz worktop a good choice? Although we love natural stone materials and we are especially proud of our granite worktops, we always advise our customers to also check the quartz worktops we have in our offer, as we like to give our clients as much versatility and choice as possible. It is all a matter of preference and the overall design of your kitchen. If you are more into a more modern interior décor and you have a non-standard color pattern of your kitchen space, quartz is the way to go, as it is an artificial compound which can be colored into various, non-naturally occurring hues. 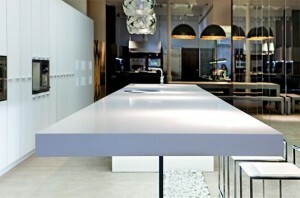 Furthermore, if you wish to have a completely clean, pattern-free kitchen worktop, quartz should be your first choice. It is also worth mentioning that quartz’s structure differs from a natural stone like granite – it is completely non-porous, which means that it does not need virtually any maintenance, as it does not absorb any substances – the indestructibility and amazing resistance to outside factors are its main selling points. You can check our quartz worktop offer and even if you have a unique vision of your kitchen, you just have to ask us – we are able to produce a quartz kitchen worktop that will suit all your sophisticated needs. Take note of our operating areas – because we’re located close to the English capital, we are the quickest when we work with customers from London’s borroughs, including Sutton, Reading, Ealing, Esher, Greenwich, Hammersmith, Hounslow and any other location in London you can think about.